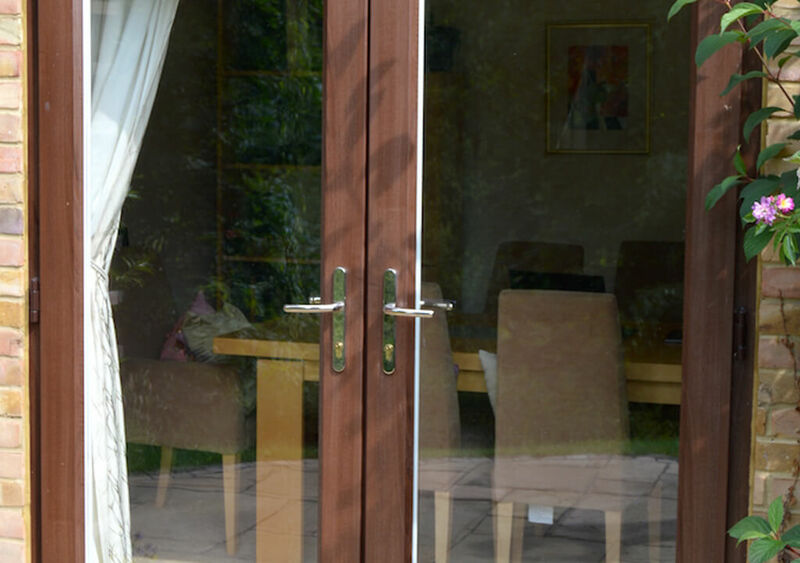 Whether you want to welcome the outside in to your South East home or create internal partitions between rooms, French doors offer plentiful amounts of light seamlessly combined with a continental twist that’s sure to add character. Dedicated to providing homeowners across London and the South East with high-quality, value for money home improvement products, the ‘John Fredericks’ collection offers an extensive range of classic and contemporary French door styles – ideally manufactured in maintenance-free uPVC. P & P Glass really can accommodate any style or era of home, from traditional right through to new build – allowing you to match your new French doors to new or existing entrance doors and window frames with ease. Each French door that we offer is manufactured with 28mm toughened double glazing as standard, whilst Modus style French Doors can be enhanced with 44mm toughened triple glazing. 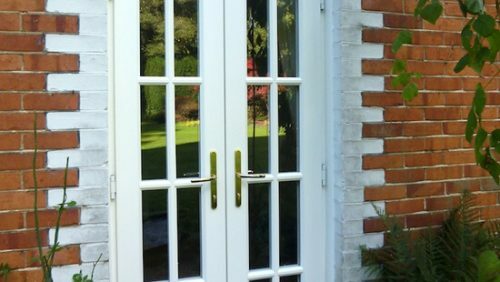 French door glazing options include clear or patterned glass, as well as a range of additional extras such as full glass, Georgian, Square or Diamond Lead detailing. Providing our customers with peace of mind comes as standard with every window, door and glass solution that we fit, whether it’s for a safety conscious homeowner or a business. 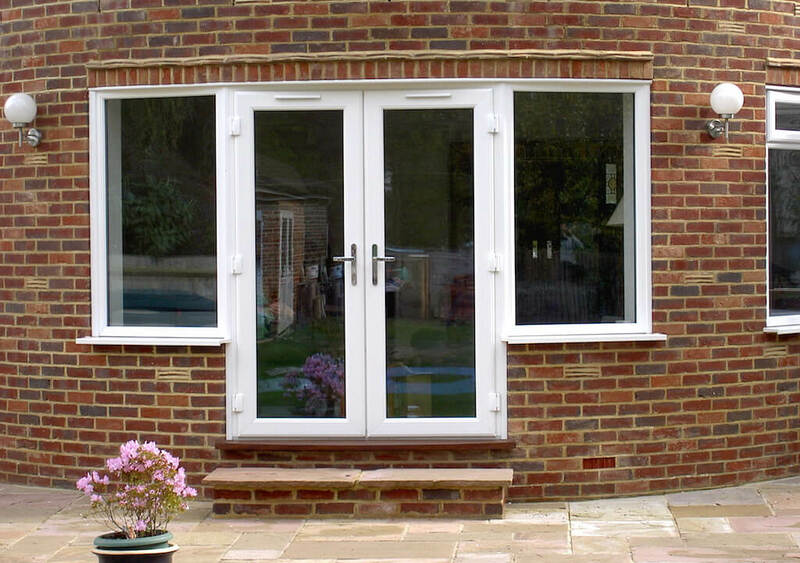 This is why our uPVC French doors are fully compliant with the latest building regulations and product testing standards, offering PAS24 enhanced security features and weather proofing performance accreditation. Furthermore, all of our French doors (bar the Modus collection) are endorsed by the official UK Police flagship initiative Secured By Design. Available in a variety of finishes, each uPVC French door range offers an assortment of striking woodgrain finishes too. If none of these colours or woodgrain effects take your fancy, you can customise your French doors further by choosing from over 1000 unique RAL colours. 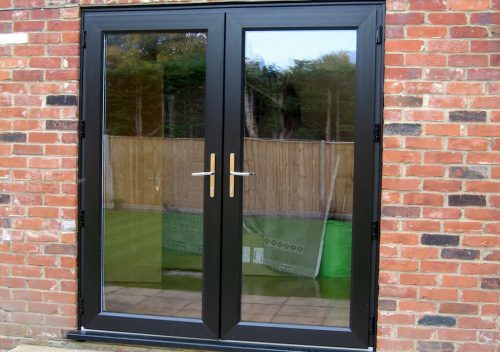 Or if you’re looking for diverse uPVC French doors, the Modus range also offer non-stock colours, e.g. Quartz Platinum Metallic, Asphalt Metallic, Sapphire Silver Metallic and Anteak Woodgrain effects. Complete your tailor-made French door with a wide range of handles and extra hardware options to choose from.